We empirically evaluate several state-of-the-art methods for constructing ensembles of heterogeneous classifiers with stacking and show that they perform (at best) comparably to selecting the best classifier from the ensemble by cross validation. Among state-of-the-art stacking methods, stacking with probability distributions and multi-response linear regression performs best. We propose two extensions of this method, one using an extended set of meta-level features and the other using multi-response model trees to learn at the meta-level. 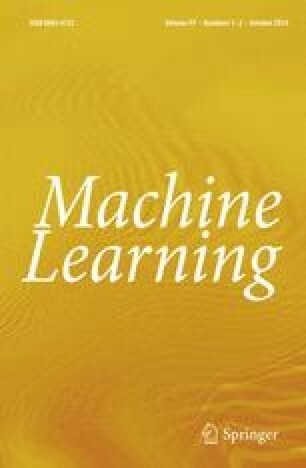 We show that the latter extension performs better than existing stacking approaches and better than selecting the best classifier by cross validation.